All components are made specifically for sound intensity applications. Each small 1/4" diameter by 40 mm long microphone preamplifier is housed in a robust stainless steel casing. The probe head is symmetrical which enables reliable calibrations as described in the proposed standard (ISO/DIS 9614-2) for sound power measurements using sound intensity measurements. The GRAS 50GI-RP CCP Intensity Probe is a two-microphone sound intensity probe especially designed for use in conditions calling for a rugged design. It is equipped with CCP transducers and a remote control handle for direct connection to an intensity analyzer. The remote-controlled intensity probe comprises a 40GK-S1 sound Intensity Microphone Pair, two 26CC CCP Microphone Preamplifiers, three solid spacers of various lengths, windscreen and a probe handle. The 50GI-RP is delivered in a carrying case as a ready-to-use kit, complete with all the above accessories. 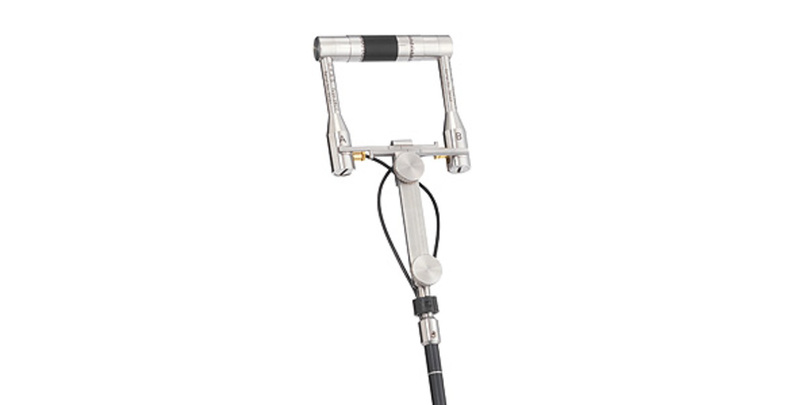 The microphones are 1/2" free-field prepolarized microphones with a uniquely-designed pressure equalisation system, which ensures extremely well defined phase characteristics.